Mr. Connolly’s primary practice is the representation of debtors and creditors’ committees in large Chapter 11 bankruptcy cases. He has been involved in national cases in a number of different industries, including manufacturing, transportation, finance, defense contracting and space and technology. He has appeared in Alabama, California, Delaware, Florida, Georgia, Louisiana, New York, North Carolina, Ohio, South Carolina, Texas and West Virginia courts. Mr. Connolly has represented parties in interest in major Chapter 11 cases, including Delta Air Lines, Refco, Inc., Enron Corp., Zale Corporation, Einstein Noah Restaurant Group, Inc., AmeriServe and Winn-Dixie. He is a Fellow of the American College of Bankruptcy and a director of the Southeastern Bankruptcy Law Institute. He has been selected as a leading practitioner by Chambers USA, listed in Super Lawyers magazine and named Lawyer of the Year in Bankruptcy and Creditor Debtor Rights/Insolvency and Reorganization Law for 2014 (Atlanta) by Best Lawyers in America. 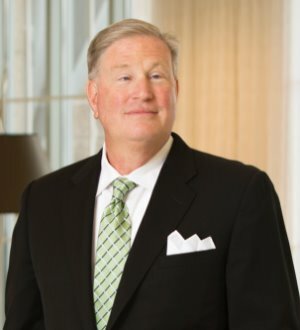 He was named in Super Lawyers magazine’s “Top 100: 2014-2016 Georgia Super Lawyers Top List.” He has been actively involved in the bank crisis, representing bank holding companies and their directors and officers in litigation with bankruptcy trustees. He has represented purchasers of assets in nationwide cases.